One of my goals for this week is to begin meal planning consistently again. I slacked off big time because planning three different types of meals was becoming annoying. But what happens on some days, is chow time rolls around and all of us are looking crazy because nothing is planned. I’ll be the first to say, it’s hard agreeing on what to eat when everyone is hungry. The kids want pizza, Germaine wants anything with meat and I want a salad. Not planning just doesn’t work out. I love the sense of order that comes with meal planning, but as a family, we need to figure out how to meet everyones dietary wants and needs. That’s what I’m going to be working to do this month. The only way we’re going to fix the issue is by working on it and to date, I’ve just been ignoring it. The very first thing I’m going to do starting this week is begin writing a full menu plan. 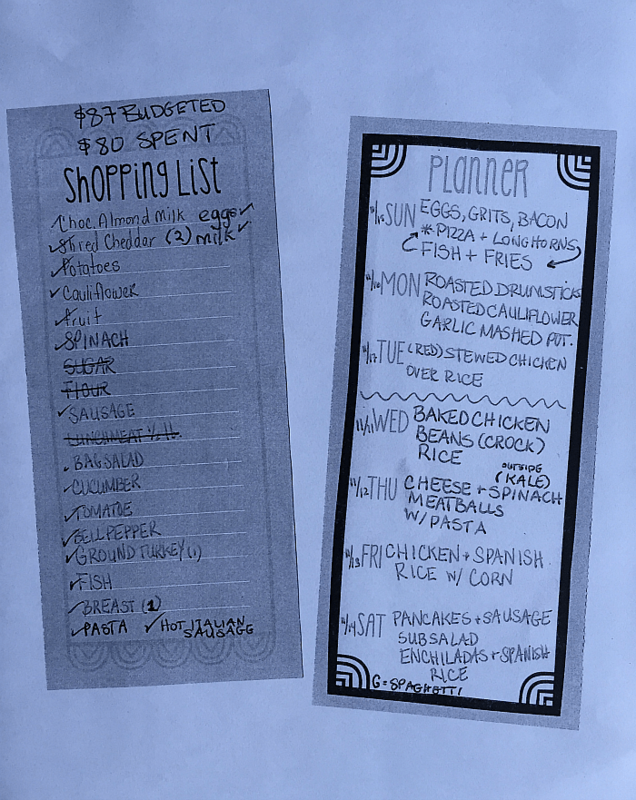 I’ve been writing incomplete meal plans for months. It’s been about three weeks that I’ve been more diligent at writing a complete plan, but again, it’s become harder to anticipate what everyone in the house wants to eat. These are the parameters I have to plan a menu around. When I sit down to make my menu, I plan around Germaine and I’s eating style and incorporate the kids wants here and there. Here’s our menu plan and shopping list for this week. If you notice I didn’t write in breakfast for Monday through Friday, it’s because we eat a variation of the same thing everyday. For breakfast Germaine and I have turkey bacon, eggs and oatmeal. This is my first week of planning a complete menu so you’ll see this goal show up on next weeks post. I’m just going to keep it there until I feel confident I have at least 4 weeks worth of meal plans that suit our taste before considering the goal accomplished. How many of you plan weekly meals? What are your tips for sticking with it, finding ideas, prepping, shopping, etc.? 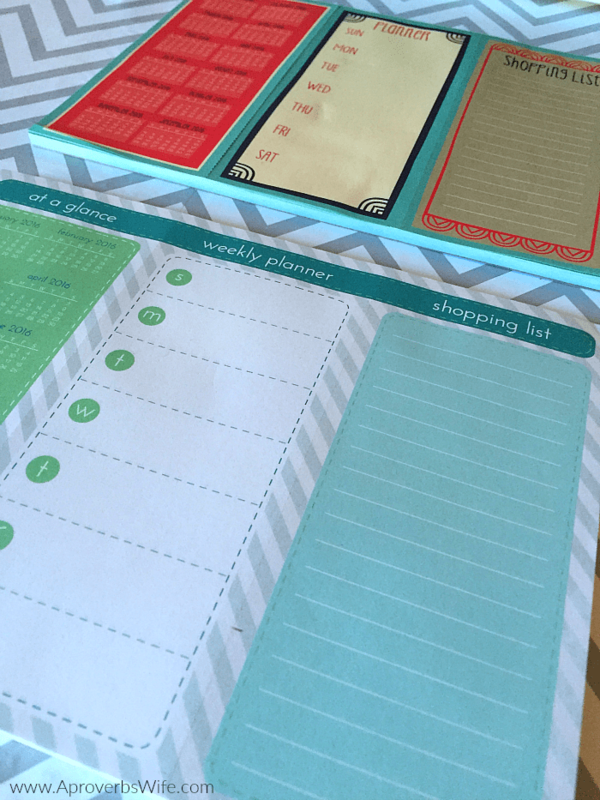 I started meal planning shortly after I got married. Before I got married, I could eat a bowl of cereal for dinner and call it a night. Overnight, I went from being single to being a wife AND mother! With a hungry hubby and teenage son to feed, cereal for dinner wasn’t gonna cut it! One month, it felt like we were eating out a lot so I sat down and added it all up and it was about $300! Plus, I would run to the store 3-4 times per week getting a few items here and there because I didn’t have a plan in place. Something had to change! I made out a full menu for an entire month and since I didn’t want to cook every day, I made sure to have enough for leftovers the following night. Instead of planning breakfast, I just made sure to always have breakfast foods (grits, oatmeal, cereal, etc.) on hand. Some of our current favorite meals have come from YouTubers Monique (Divas Can Cook), Laura (Laura in the Kitchen) and blogger Leigh Anne (Your Homebased Mom). @Kina, it’s crazy how fast those meals out and store runs add up without realizing it.